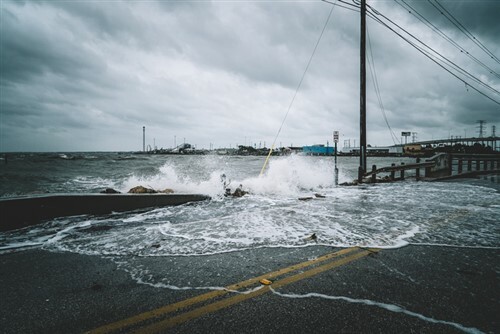 This year is shaping up to be one of the worst in terms of catastrophe losses the insurance industry has ever incurred, as data for the third quarter of 2018 paints a grim picture. During Q3 2018, the US was beset by the destructive Hurricanes Florence and Michael, which together caused more than $31 billion in economic damages. The quarter also saw wildfires erupt in some parts of the country. California – in particular – continues to suffer its worst fire season on state record, having experienced 32 wildfires in Q3 2018 alone. In Asia, meanwhile, Typhoons Jebi and Trami devastated Japan, while Southeast Asia had to deal with Typhoon Mangkhut. “This has been a year in which the frequency of catastrophes seems potentially larger than last year,” RMS meteorologist and event response manager Tom Sabbatelli told The Financial Times. The Financial Times analyzed third-quarter filings from over 20 of the world’s major insurers and found that the companies have recorded losses of about $9.1 billion. RMS is anticipating up to $20 billion of combined insured losses from Hurricanes Florence, Michael and Jebi alone. These loss projections make 2018 one of the worst years in the past decade for natural catastrophes. “ is an above-average year. It is a reminder to the market that we shouldn’t expect a return to [the low level of natural catastrophes] in 2015 and 2016,” explained Jefferies analyst Philip Kett. Of the many insurers affected by third quarter losses, AIG is expecting the biggest hit. In an earlier release, the company projected pre-tax catastrophe losses for the third quarter at around $1.5 billion to $1.7 billion.